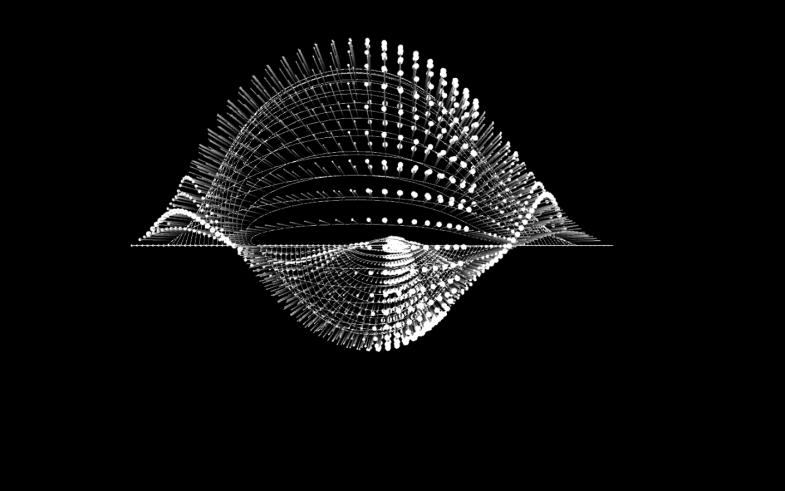 Inspired and built over the code of Daniel Shiffman‘s CodingRainbow tutorial on SuperFormulas, and the work of Reza Ali. Find the code here on my github. It is still an unfinished job, with a big to-do list. But it is stable an fun. It sends signal through Syphon so you can mix it with other visual content, FXs and software. Audio amplitude changes color cycles. 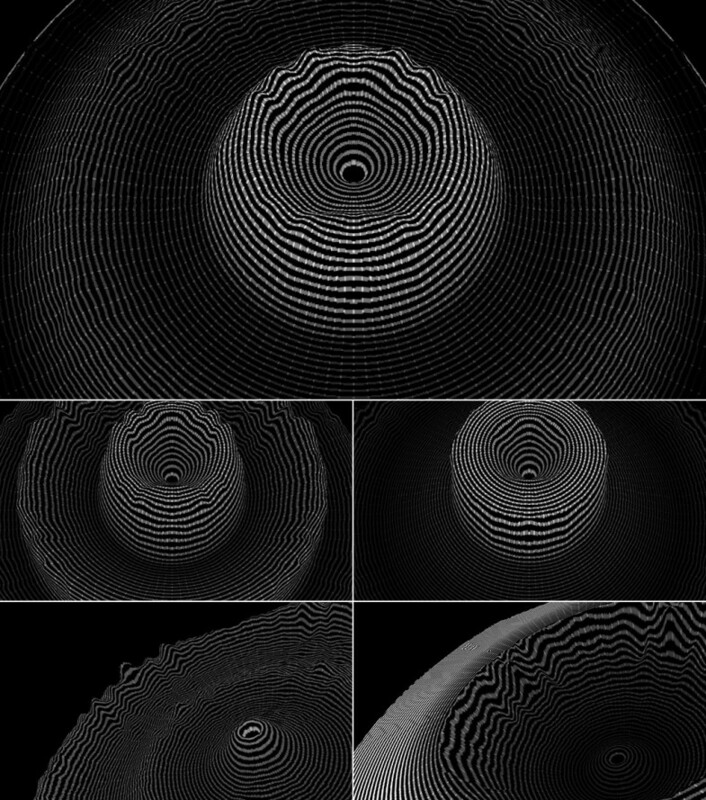 I sent the Syphon’s signal to VDMX, and then mixed with QuartzComposer compositions. It has (on SaveShape TAB) an array to store shapes, which will loop then autonomously with the function shapeShift(int x) active. Works on Processing 3. Needs Syphon, PeasyCam, processingSound and controlP5 Processing’s libraries. Explore it, Improve it, Share it and have Fun. 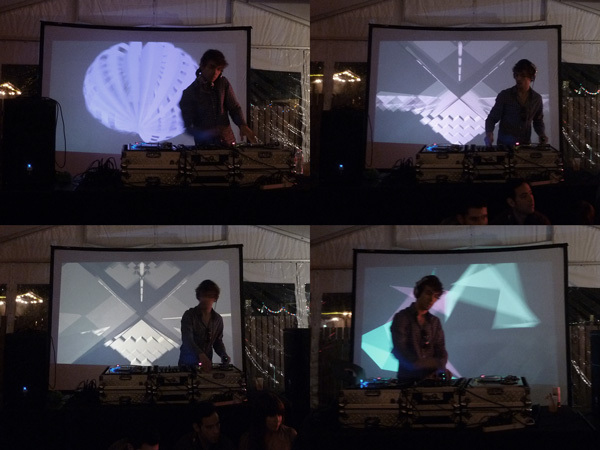 // Some pictures from the Alchemy Stage with the SuperShapes being projected. 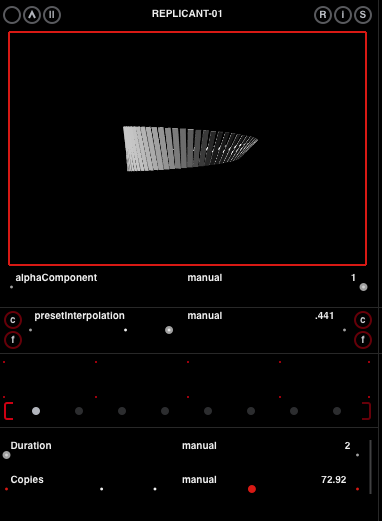 // SuperShapes control GUI, with parameters to modify the shapes, and the bottom to trigger autonomous shape-shifter function. Again this year I spent 3 month in UT Austin as a research visitor. Below a list of projects in which I was involved while there. 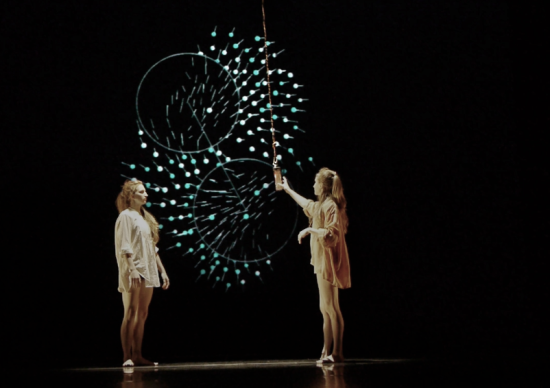 Interactive visuals for a dance performance. Presented in March 2015 at UT Austin – Oscar G. Brockett Theatre, Austin/TX. More details here. Visuals for a dance performance for a Scion car reveal event. March 31, New York. Collaboration with Joao Beira, Quixotic, Erox Biox and O2CreativeSolutions. 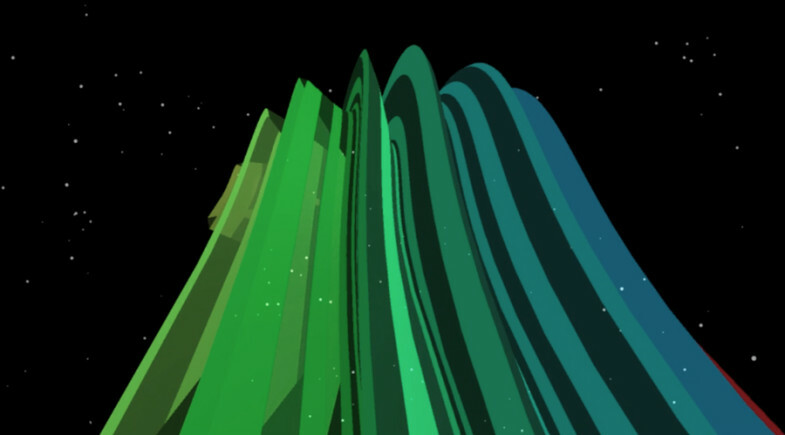 OMNIMOTION @SXSW Interactive 2015, by Joao Data. Helping João with some computer vision and programming to give interactivity to the installation in order to make the faces follow the visitors around the park. 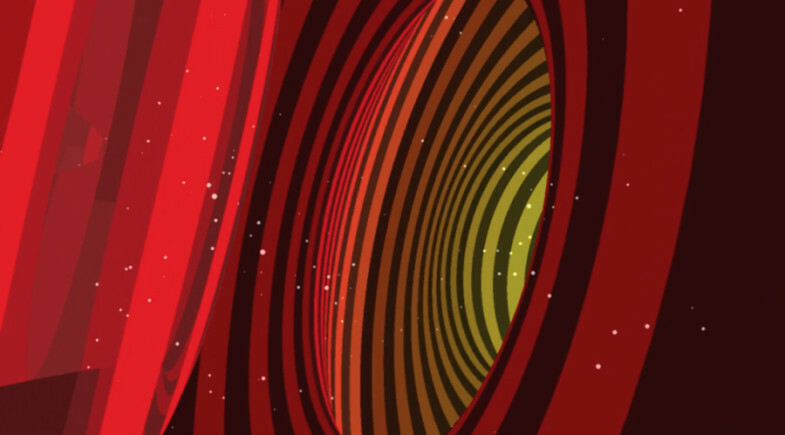 Live reactive visuals for a dance performance. Collaboration with Eli Fieldsteel, Billie Rose Secular and Ladonna Matchett. 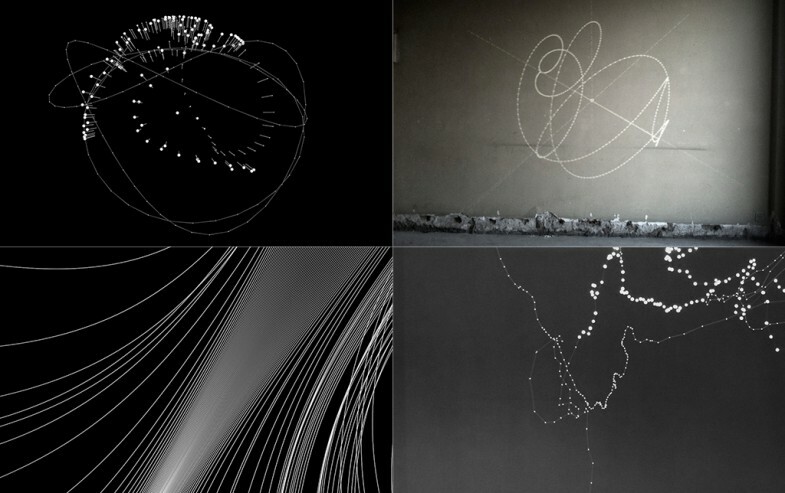 Recent visual explorations for a future Audiovisual Album. Between January and April (2014) I spent 4 months at UT Austin as a research visitor. One of my main goals was to get the opportunity to collaborate in multidisciplinary projects with local students at the Theater and Dance department, that I could later user as case studies for my research. Interactive audiovisual dance performance presented at the Ears Eyes and Feet event in the B. Iden Payne Theater, May 2014, UT Austin Texas. More info at the project page. “Warning: A Wearable Electronic Dress Prototype” is the result of a series of explorations in possible interactive/reactive technologies for a stage performance costume. More info at the project page. Exploration of sound visualizations at “Stallion”, a 328 Megapixel Tiled Display System at TACC (Texas Advanced Computing Center). More info at the project page. // Apart from the university related projects, I got introduced to some of the local Audiovisual scene, and I had the opportunity to perform some live visual sessions. 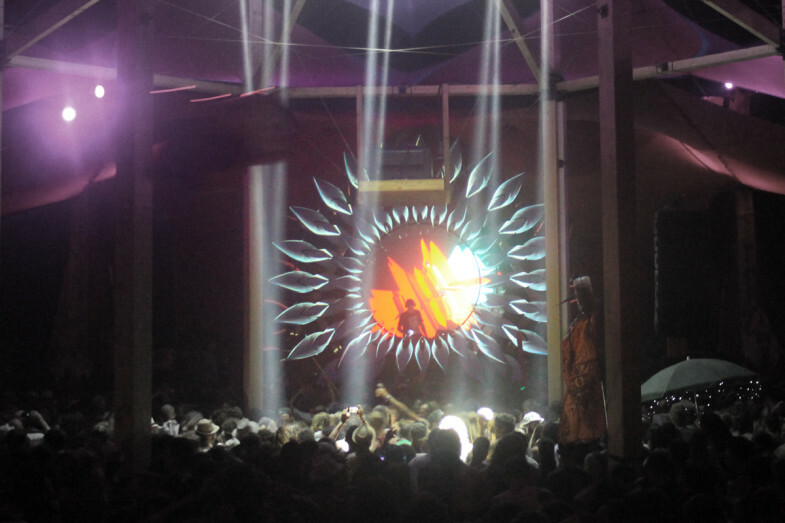 Live visuals for ST37, a legendary experimental/space/rock/psychedelic from Austin. 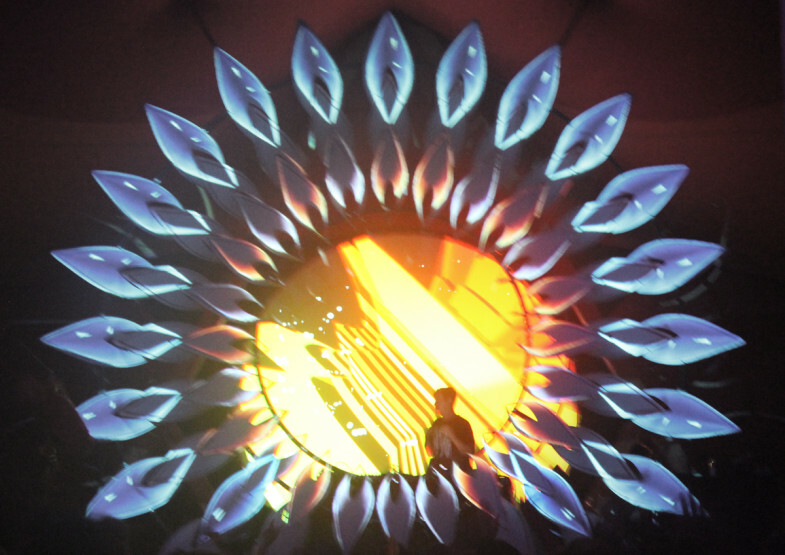 Some extracts from my live visuals for the BEYOND THE GATE event. 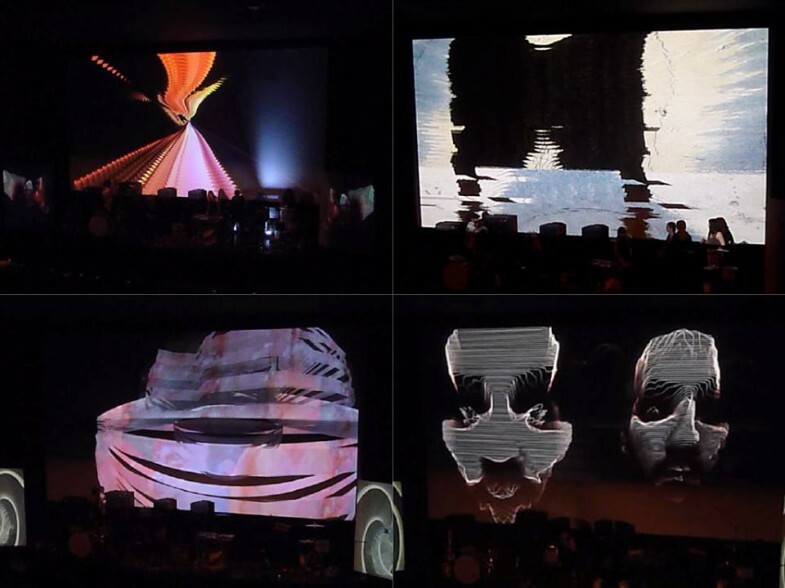 Visuals for 4 live rock bands at the Alamo Cinema / Austin / Texas. 16.03.2014. 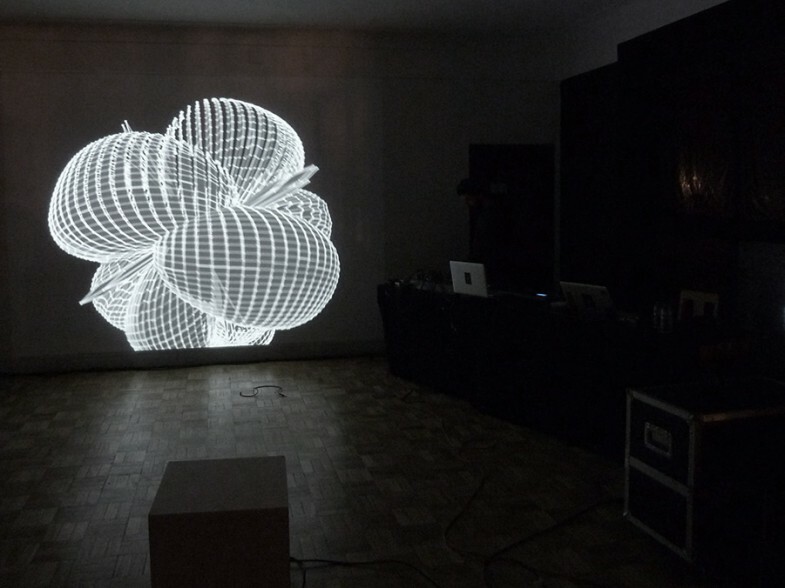 “2V-P is a live visual performance tool designed by Ali M. Demirel and engineered by Pascal H. Lesport, as the outcome of their artistic collaboration. In the last couple days I have been doing a test drive with “2V-P”, a new tool for live performance, which is basically a Quartz Composer 2 channel mixer. It uses as source only Quartz Composer’ patches, and you are able to manipulate them in real time, which means that you have access to all the parameters of the patches from the 2v-p interface. The strongest idea behind 2vp is the minimal/”keep it simple” logic. 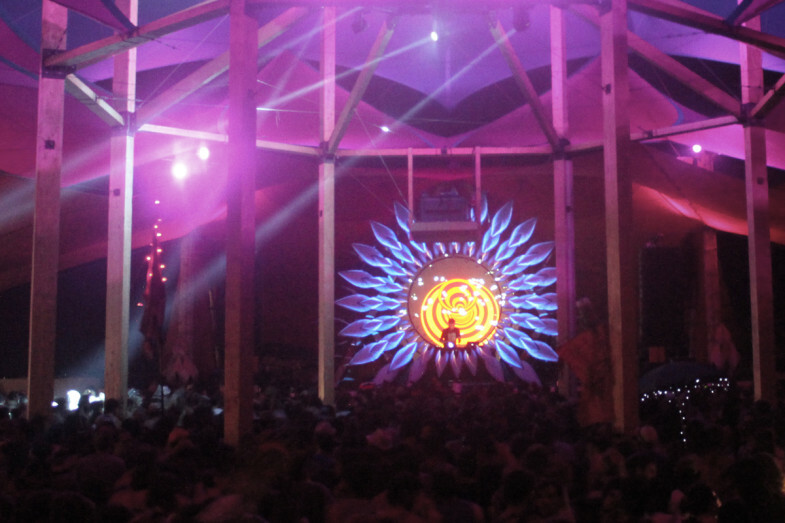 Focusing its functionalities on getting the best of the live performance experience. Although of the “keep it simple” mentality , the fact that it is uses Quartz Composer patches and is able to send and receive OSC/MIDI basically means that you can to do almost anything with it. 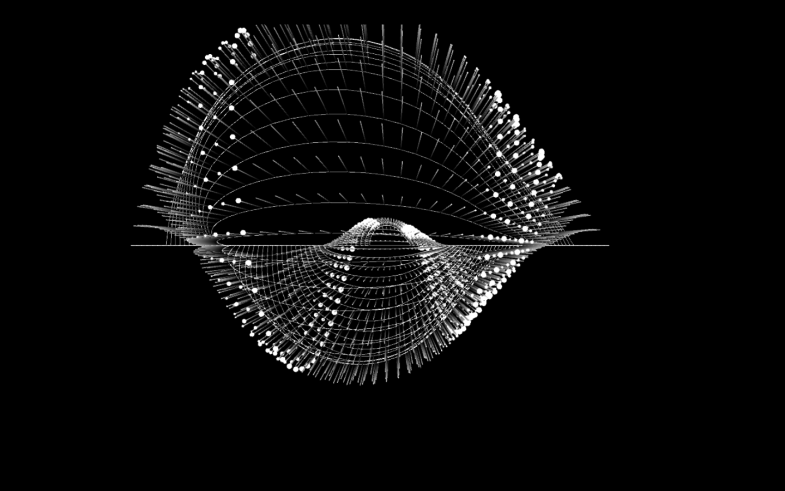 Working with images,sound, live feed, text, video, generative graphics,…. and connect it with any software/Interface that has OSC/MIDI. 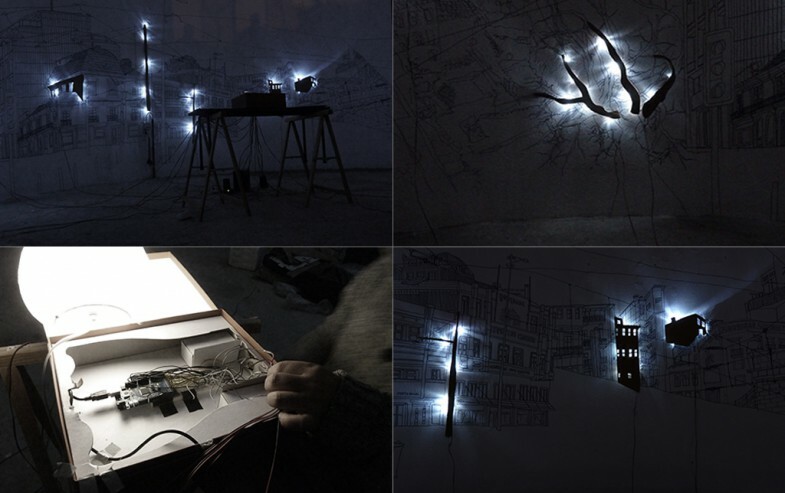 Useful for Vj, audio reactive lives, dance interactive performances, installations, and a big etc. Above in the interface’s detail you can see one of the channels. 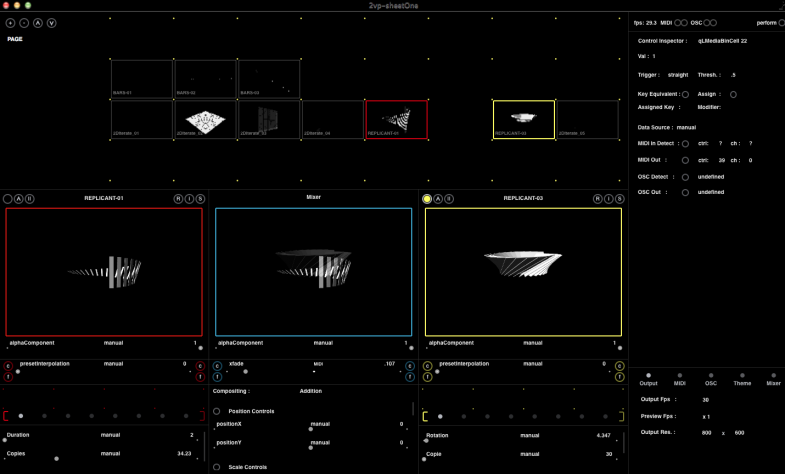 On the top a preview window, showing the content on that window, and in the bottom 2 sliders controlling the parameters of the visual patch. Check 2V-P at www.2v-p.tv and basic tutorial here. If you never used Quartz Composer before and you want a “Getting Started Guide” check the compilation of fundamental links here. 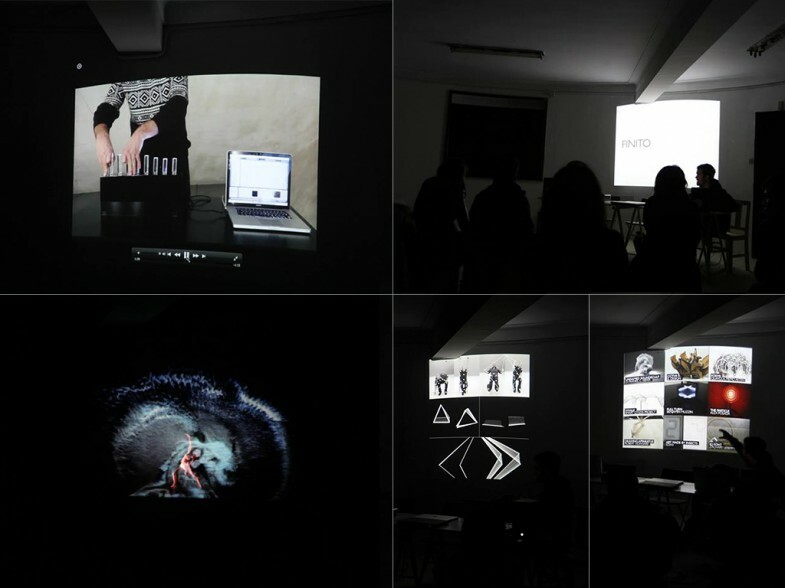 Last November (25th-29th) I took part of the Choreographic Coding Lab, from the MotionBank Project. 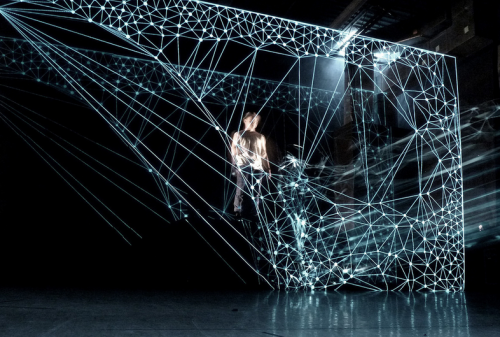 An exploratory laboratory focused on translating aspects of dance and choreography into digital forms. Below there are the two project/prototypes that I was working during that week. 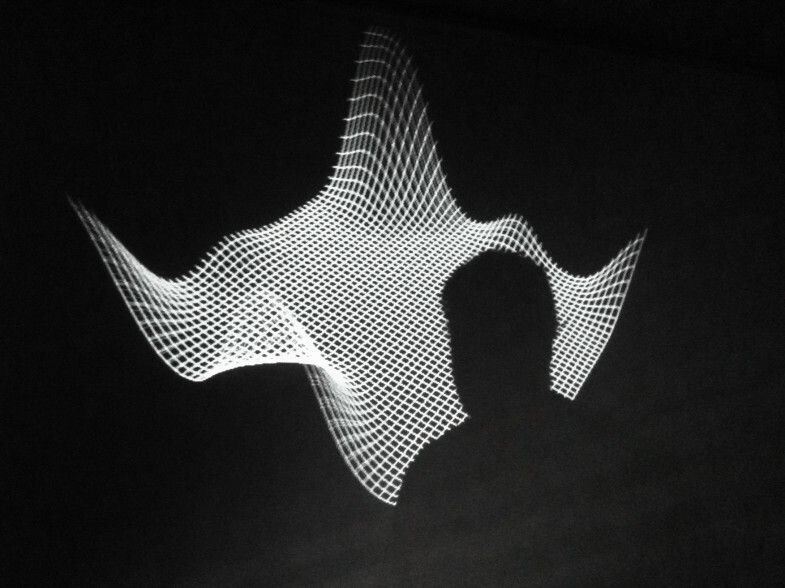 I started by digging into the motion data from the performance of Jonathan Burrow’s and Matteo Fargion (more info about the performance here). The performance has been recorder in video and the skeleton tracking data was also recorded in a database. In the performance we watch to a gesture dialogue between both performers. 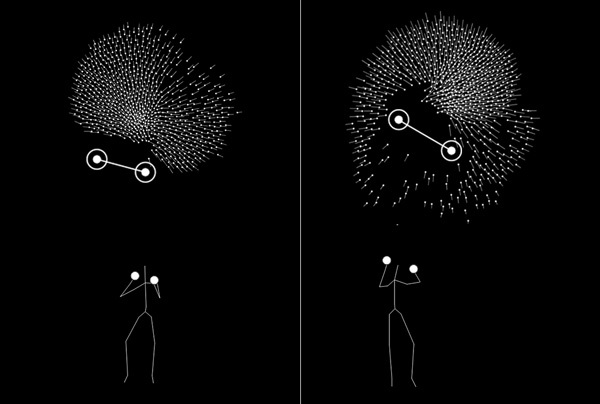 Inspired by “William Forsythe: Improvisation Technologies” I decided to use lines to join different body joints to extract graphical patterns based on the their gestures in time. 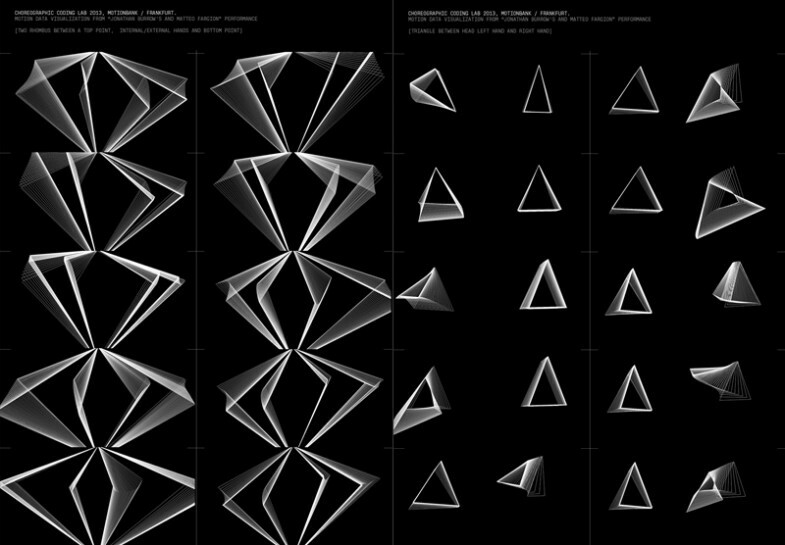 Using has a starting point the data parser made by Florian Jenett in Processing, I started a series of experiments connecting different joints with lines (hand with hand, head to both hands, …) and watching its motion over the time. 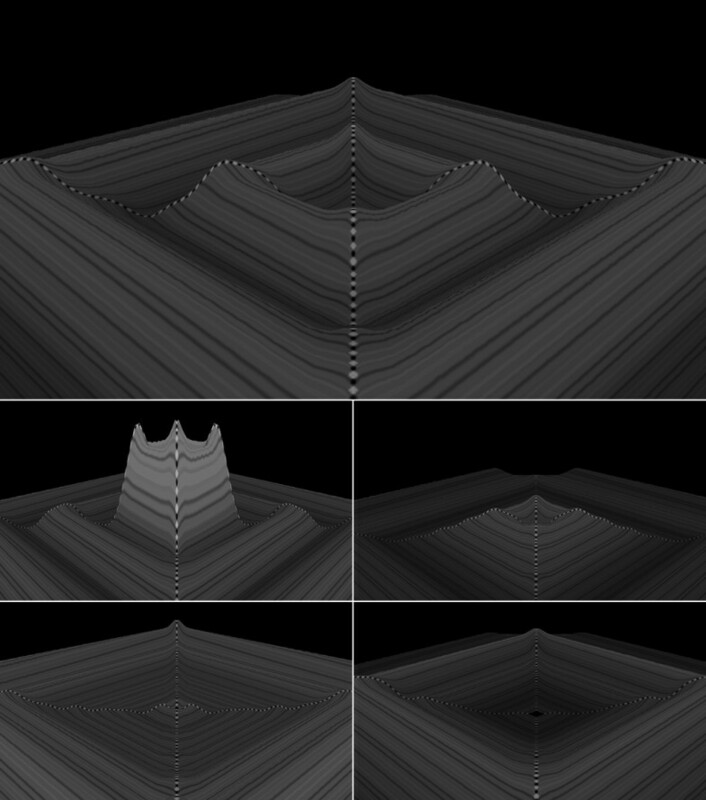 In the end I got some interesting visual patterns. 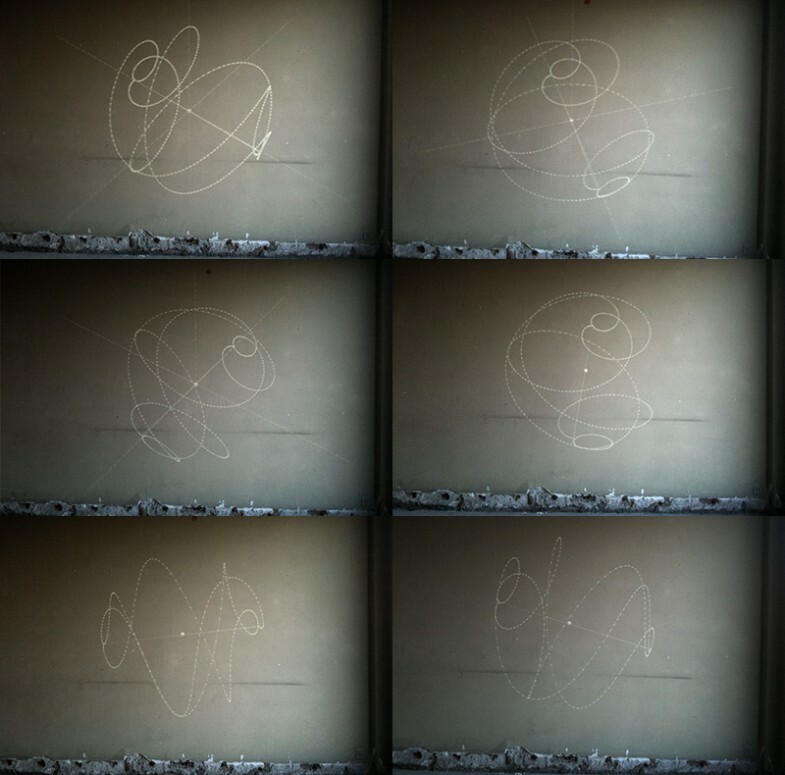 A geometrical graphical dialogue, a visual abstraction of the original performance. Bellow two posters showing different geometric sequences. Check more in here. 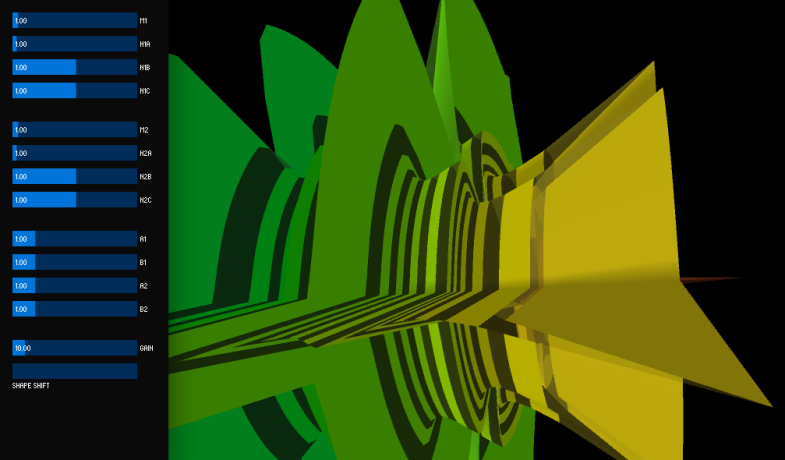 The processing files used can be downloaded in my Github account here. 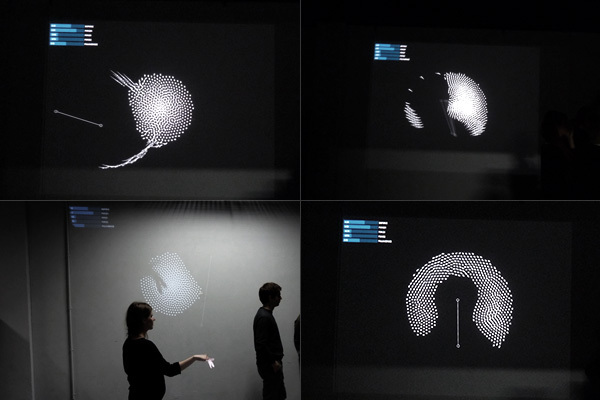 Some participants of the lab built an interactive dance space that was continuously broadcasting motion data (live and recorded). I wanted to use that live data so I started to work on an interactive visualisation. 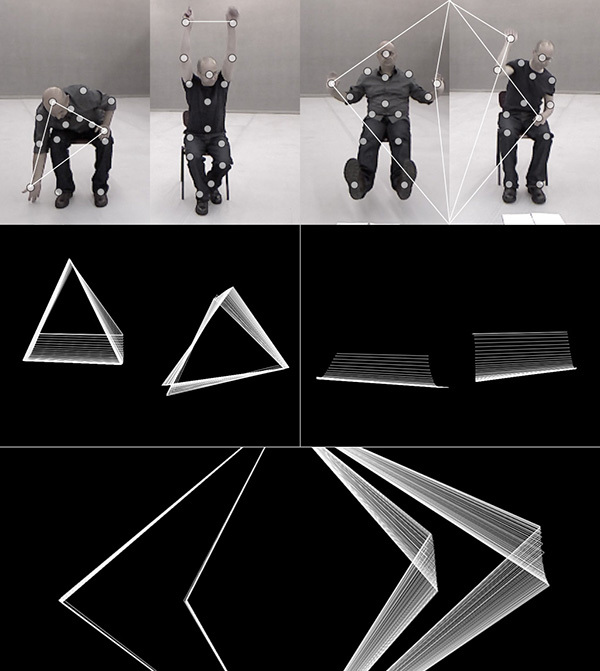 I wanted to do not just a visualisation of the movement, but an interactive system that receive info from the dancer and gives him something back to interact/play and by this way influence his movements. Something in the borderline of a visual tool and a gaming experience. So I used toxic.physics library to developed a gravitational particle system with a central force in the middle of the screen that attracts or repels the particles, and 3 more additional forces to interact with. One for the mouse (for debug proposes), and two more F1 F2 (one for each hand). / Below some still pictures from the gravitational system. Check more picture in my flickr gallery here. During the development of this system I used the motion data that was being broadcaster. Unfortunately I didn´t have time to test it properly with a performer directly interacting with the visualisation, but I intent to do it in a near future. 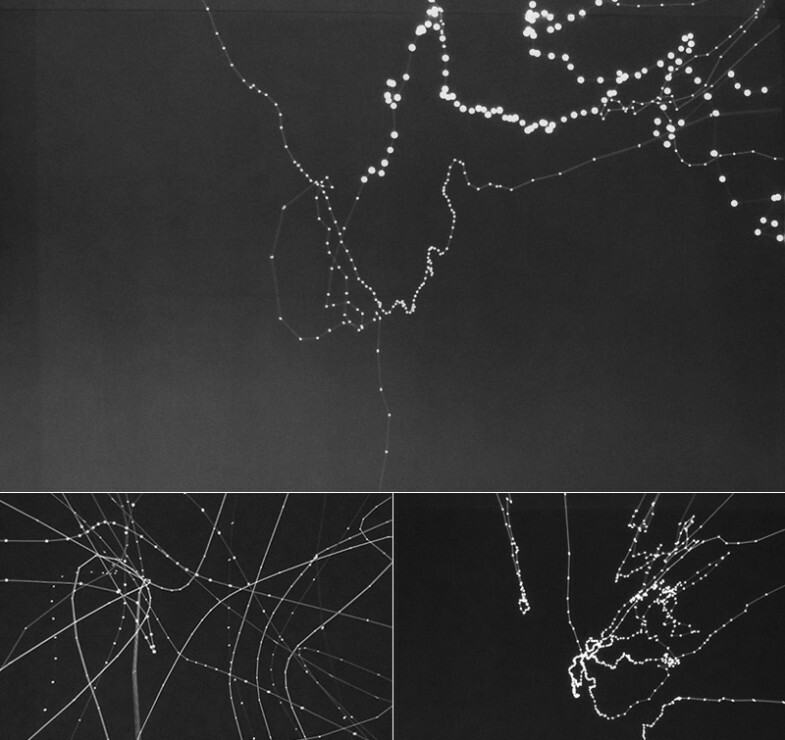 For more information and updates about the Choreographic Coding Lab keep track of NODE FB page and MotionBank site, FB, and Twitter , where more documentation and project reports from other participants will be posted in the future. 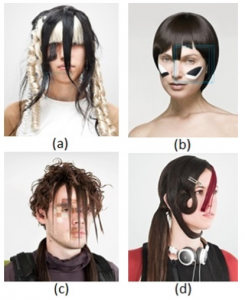 “MultiSensory Mixed Reality with smell and taste”, Adrian Cheok. 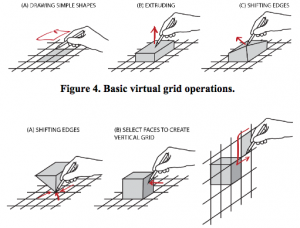 “Tracking-based Interaction for Object Creation in Mobile Augmented Reality”, Wolfgang Hürst, Joris Dekker.